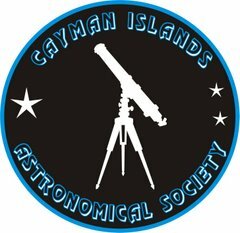 The next public meeting of the Cayman Islands Astronomical Society will be at Pedro St James Castle on Wednesday 21st of January starting at 6:30 PM weather permitting. The meeting will be canceled if there is more than 50 percent cloud cover. Im also asking for members to let me know if they will be coming or not as that will dictate the agenda of the evening and scopes involved. The meeting is scheduled a little earlier than our "3 days after a new moon" rule as there are other events at the Castle that following weekend. In the evening sky at the moment we have a lovely couple - Venus and Mercury just after sunset. The shear brightness of Venus is an easy guide to the fainter more elusive Mercury.Venus will be around for some months this Spring - so watch OUR space! As for other planets Mars isn't far away in the evening Western sky too. So that's three planets.Later on Jupiter rises at around 10 PM in the East - not a bad haul. On this coming Friday evening 16th January there is a Iridium flare predicted at close to magnitude -8.1 That is really bright! The Flare will occur at around 18:41 PM and will be close to overhead (slightly to the NE)In fact looking at the predictions the closer you get to Spotts beach the brighter it will become. Alternatively if you are at a barbeque or pool party this is a neat trick to pull off. Finally don't forget Comet Lovejoy later on in the evening - not far from The familiar constellation of Orion. Although at magnitude +3.8 you will probably still need binoculars and it appears as a large "fuzzy ball". If you are still struggling by the 17th you probably need new binoculars or worse new glassesIts then located not far from the Pleiades- to the Western side.